Dear visitors of our web-site of the monastery Lepavina! Due to a high number of visits of our website, I am honoured to take the responsibility to describe you in English different events from Serbian Orthodox Church and monastery Lepavina. We would like to inform you that we will be also putting on our web-site some texts in English on different subjects from other Orthodox websites. I deeply hope and believe that our Lord will help me in that! 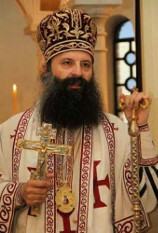 With God’s blessing, from monastery Lepavina Archimandrite Gavrilo. 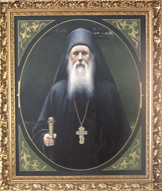 © 2004 - 2018 Website of the Lepavina Monastery is the missionary heritage of Archimandrite Gavrilo (Vučković). All Rights Reserved. The web site is regulated by the Internet missionary community of Lepavina monastery.